A personalized golf towel makes a great gift for the lady golfer. 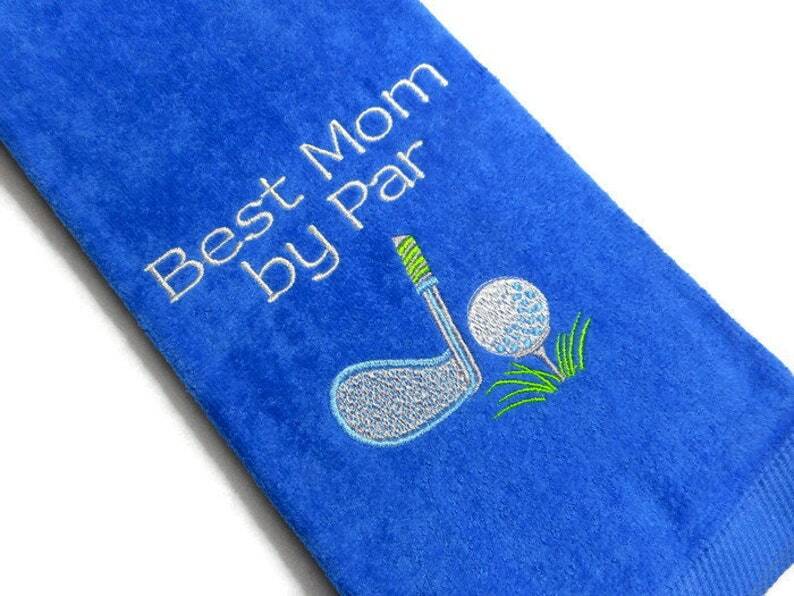 Available in multiple colors with a Club and ball design, Best Mom by Par. The design measures approximately 5.5 X 4.5 inches. Other name and color options available. Arrived in record time and is adorable!